Flying 1BB, T Target player puts a card from his or her hand into his or her graveyard or on top of his or her library. 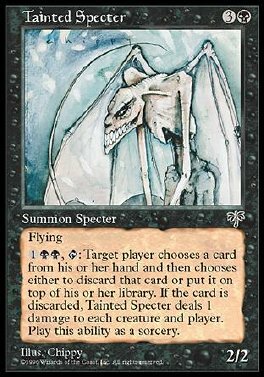 If the card is put into that player's graveyard, Tainted Specter deals 1 damage to each creature and each player. Play this ability only any time you could play a sorcery.